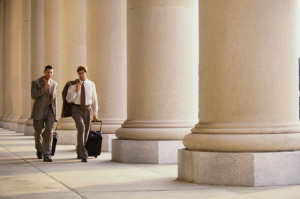 Can I File A Mesothelioma Cancer Lawsuit On Behalf Of My Deceased Family Member? Mesothelioma is an aggressive form of cancer, usually affecting the lungs and abdomen, caused by exposure to asbestos, a flaky white insulation material once common in industrial applications as well as consumer products. One of the worst aspects of the condition is the long passage of time between exposure and the onset of symptoms that victims may recognize as a serious medical condition. Often times, asbestos exposure victims are not diagnosed until they are older and the disease is at an advanced stage, giving patients fewer treatment options to improve their health and wellbeing. Due to the passage of time and the complex nature of litigating an asbestos mesothelioma cancer lawsuit, many plaintiffs ultimately succumb to their condition before their claim is resolved. Situations like these leave surviving family members worried about whether they will receive the compensation necessary to make up for the loss of service provided by their deceased loved one. Fortunately, the law does allow surviving family members to continue lawsuits on behalf of their family members and hold wrongdoers accountable for their careless actions. Mesothelioma is an aggressive, deadly cancer caused by inhaling asbestos fibers that leaves victims with few treatment options the further the disease progresses from the lungs and abdomen. While doctors can use aggressive treatments like surgery if the disease is caught in its early stages, mesothelioma will eventually metastasize into delicate areas of the body unsuitable for surgical removal. However, doctors and researchers around the world have committed themselves to finding better treatment options for late-stage cancer patients to help extend patient life expectancy and improve quality of life. Recently, cancer researchers meeting in Amsterdam for the annual World Lung Cancer Conference submitted a report of a promising new immunotherapy drug, nivolumab (also known as Opdivo). 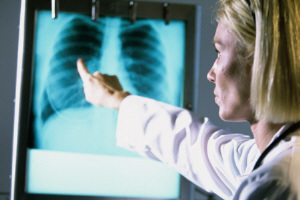 According to a statement released by the International Association for the Study of Lung Cancer, the drug showed tremendous promise in treating patients battling malignant pleural mesothelioma. Pleural mesothelioma is a form of the disease affecting a thin lining of tissue around the lungs, one of the most common types of the deadly cancer victims can experience. 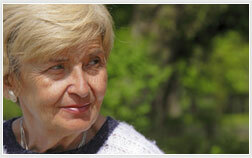 How Much Is My Mesothelioma Cancer Lawsuit Worth? A mesothelioma cancer diagnosis can be devastating news and seemingly come out of nowhere to turn our world upside down. Because mesothelioma takes decades to manifest itself, victims often receive their diagnosis during retirement, but many become affected during their prime income earning years, as well. Whatever the case, mesothelioma rears its head at the worst time and seriously affects the economic and health outlook for victims and their families. Lost wages, medical treatment, and the grind of fighting the disease all eventually take their toll on victims, leaving them wondering how they will cope with it all. Fortunately, the law gives these affected parties legal recourse to hold wrongdoers accountable for their negligent actions and file mesothelioma cancer lawsuits to recover for economic damages and pain and suffering. Depending on the circumstances of the case, surviving family members may also pursue claims for loss of emotional, economic, and domestic support should their loved one pass on before the case is resolved. If you are diagnosed with mesothelioma, your doctor will describe the state of your condition using one of four stages. Each stage represents the extent to which the tumor has metastasised, which is the spread from its original growth point. Identifying the cancer’s stage is an important aspect of the diagnosis and can ultimately determine treatment options moving forward. Depending on the patient’s health and stage of the cancer, doctors may recommend more aggressive treatment options like surgery to try and remove the tumors present. When the cancer is operable, doctors consider the tumors resectable and may help extend the life expectancy of the patient. Ray Albright, a former Tennessee state legislator, recently revealed his mesothelioma diagnosis almost four decades after exposure to asbestos while working as a boilermaker in a Chattanooga factory to support his family. Sadly, doctors informed him that he only has a few months to live. He and his wife had planned to continue their lives together for decades to come as they raised a family, worked hard, and served the citizens of Tennessee. According to reports, the victim took a job at Combustion Engineering back in 1953 where he worked for almost two-decades using a bandsaw to cut steel tops for boilers. The victim described the toxic atmosphere he worked in, noting the dust from the job made the air so thick that visibility was extremely limited. Unfortunately for the victim, he and others at the plant unknowingly breathed in toxic asbestos, an industrial insulation commonly used in various industries because of its heat resistant properties. The former state legislator believes his employer and others knew about the dangers asbestos exposure could pose but did nothing to warn him and others.